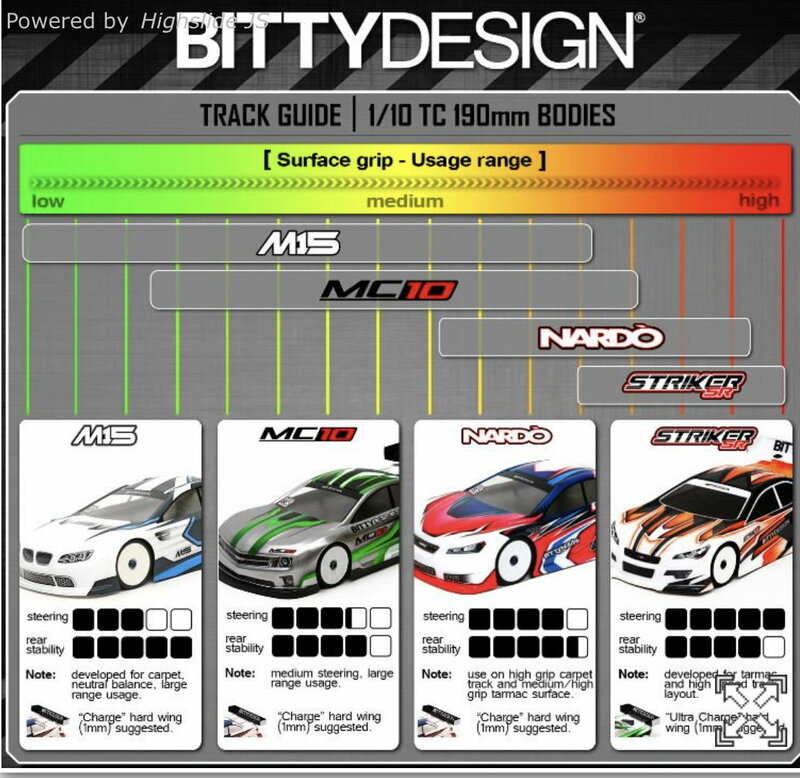 Bittydesign 1/10 TC 190mm bodyshells! 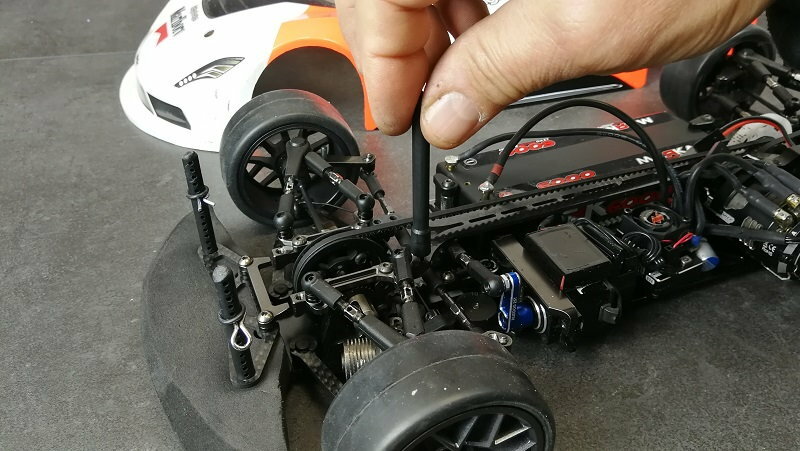 It cost nothing doing this, when you switch to another body shell you remove the body post, when you mount our VENOM body you remount the body post on the topdeck. Hope this can help you and others who felt the same issue. 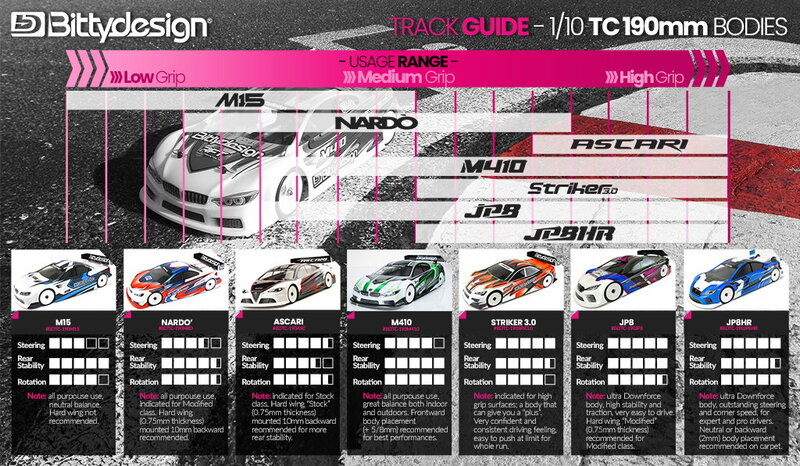 For a large, flowing low traction track which body would you recommend and where should it be fitted? Recommendation on where to put each body? 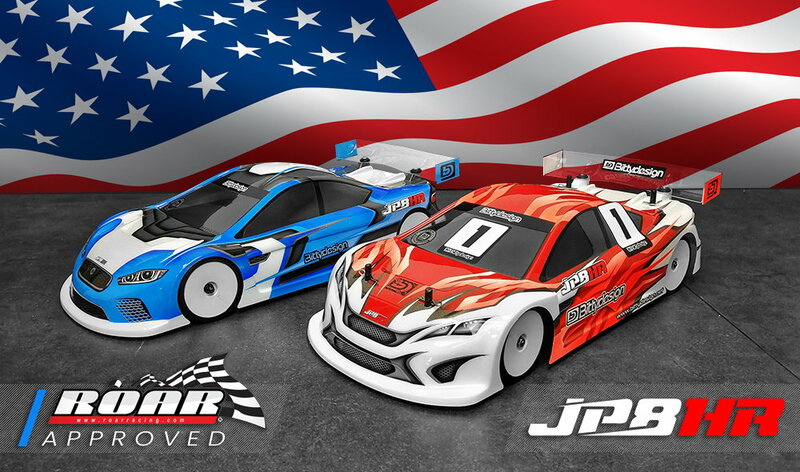 I ran the jp8hr in 21.5t tc stock on black crc carpet yesterday, along with a montech racer, type-s, and preopard. My fastest laps and best consistency came with the jp8hr. It felt much like a racer but smoother (which makes sense since the rear 3/4 of the jp8hr is 95% the same as the montech racer but with smoother features). the only issue that i've been noticing with the jp8hr is that both of mine are twisted, as is the one that another local racer has. One of the front body mounts needs to be a lot higher in order to get the splitter to be parallel with the setup board. John Doucakis and Scott_T like this. Last edited by disaster999; 03-04-2019 at 06:23 AM. 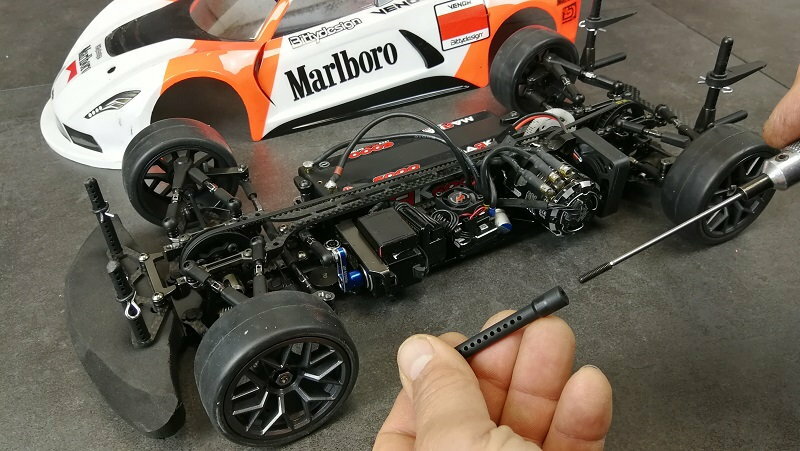 I now have six track days on an ULT m410 body and not a single crack anywhere. I usually run pretty clean, but today I cut the sweeper at the end of the straight tight and stuffed the car under the pipe full throttle. Still no cracks after I popped it back out. I'm beyond impressed with the durability of this body. And it weighs 62g painted. anthonyscardina, NutDriver and antlockyer like this. Could someone please explain me the difference between steering and rotation? Rotation I believe is in regards to the rear of the cars ability to slide a little in a controlled manner. You want the back of the car to come around and square up on corner exit if that makes sense. Steering is obviously the front grip into, mid and out of the corner in general. 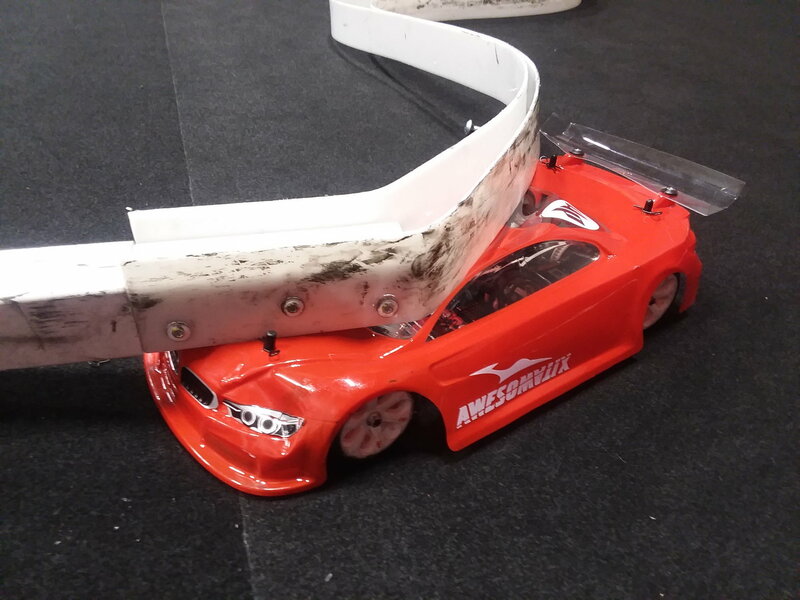 I was wondering how far forward people are mounting the HD body for a med traction pavement car? I see they wouldn't say, but those are HPI RTR E10 wheels in gunmetal. 26mm 6mm offset just fyi. I have some. Sweet wheels, but offset and width aren't ideal for racing.